Cover baking sheet with parchment. Dip strawberries, 1 at a time, in chocolate, then in cookie crumbs, turning to evenly coat each strawberry with each ingredient. Place on prepared baking sheet. Let stand until chocolate is firm. 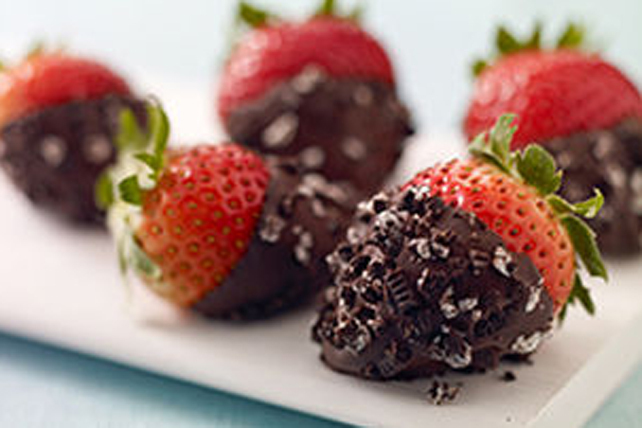 Dipped strawberries can be stored in tightly covered container in refrigerator up to 24 hours before serving.